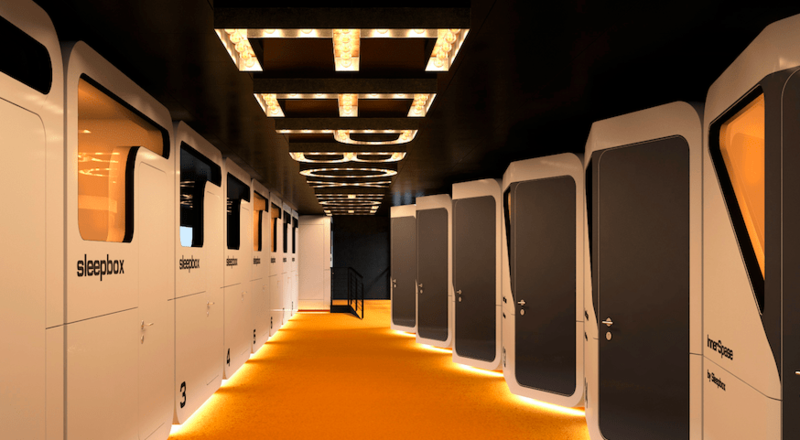 Micro-hotel company Sleepbox aims to bring comfort to weary travelers with its recent installation of sleep pods at Washington Dulles International Airport. Last month, the Boston-based startup inserted its Sleepboxes throughout Washington Dulles International Airport, giving travelers the opportunity to catch some Zzz’s as they wait for their flights. While a handful of U.S. airports currently offer resting areas in the form of Minute Suites, Washington Dulles is the world’s first airport to offer these particular sleep pods. Washington Dulles is a major airport with millions of people going through it each year —many of which are business travelers who need a private space to work and rest. We want people to stay energized and recharged so that they feel productive on-the-go. The airport authority is open to innovation and has been very supportive of the concept. An inside look at a Sleepbox sleep pod. All Sleepboxes come equipped with a memory foam mattress and Wi-Fi, and can be booked using the Sleepbox app on iOS compatible smartphones. For those in need of a little more than one hour of shut-eye, additional hours can be purchased, or travelers can book a full 12 hour stay. The sleep pods will be available for rent on an hourly basis, 24 hours a day, and come in two size options. Most of us already know the importance of nightly REM rejuvenation, but lately, we’ve seen an increase in accommodations for folks in need of some R&R on the go. This year, several “nap cafes” opened in New York City, offering bustling Manhattanites and tourists alike the chance to pop into one of its sleep pods for a 30 minute snooze. Additionally, Casper recently opened its NYC-based nap lounge The Dreamery wherein city dwellers can book quick sleep sessions. Following its recent debut in Washington Dulles Airport, Sleepbox is already looking to expand its reach by installing additional nap pods in more domestic and international airports. 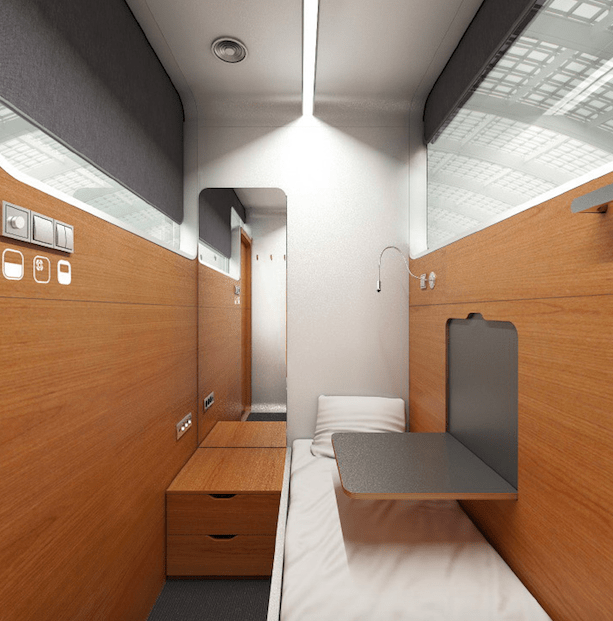 Krymov told me that he “would love to continue expansion into more airports, and is currently speaking to a few major hubs.” He added that the company is also opening its first “City Sleepbox” hotel in Downtown Boston in 2019. So, why the recent surge in nap enthusiasm? Well, many studies have pointed to the benefits of napping, suggesting that an afternoon siesta is worth more than just catching up on missed sleep. Napping has been shown to improve your immune system, increase professional and academic performance, enhance awareness and memory functions, and a veritable host of other health perks. Perhaps as more sleep research emerges, so will these personal nap pods. 25 Days of Giving: WinkBeds Mattress Giveaway! 25 Days of Giving: Purple Mattress Giveaway! These areas can be invaluable. Studies have shown that just a 20 min nap can revitalize the body. We agree! Not to mention, napping can be beneficial to regulating both serotonin and cortisol levels — and who doesn’t like a little mood booster?